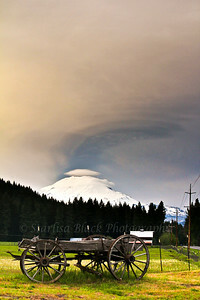 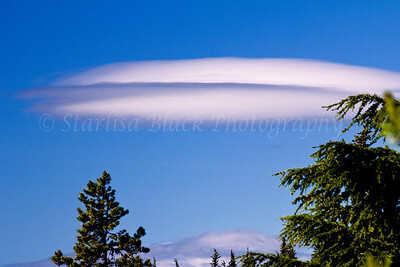 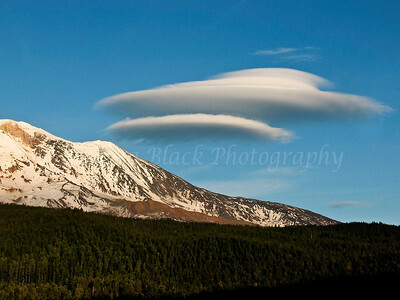 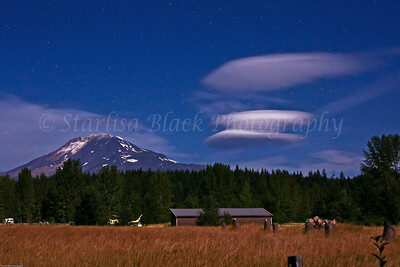 Altocumulus lenticularis. 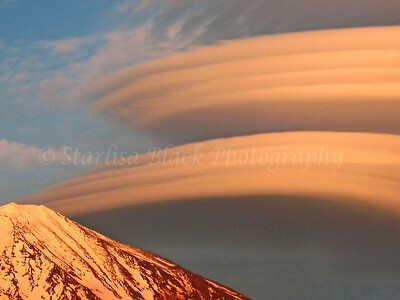 These formations are caused by wave motions in the atmosphere and are frequently seen in mountainous or hilly areas. 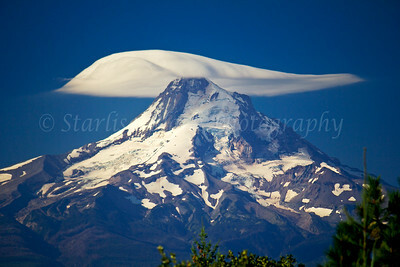 They are often called wave clouds. 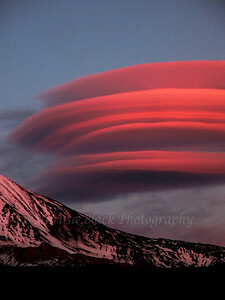 They may be triggered off by hills only a few hundred metres high and may extend downwind for over 100 km. 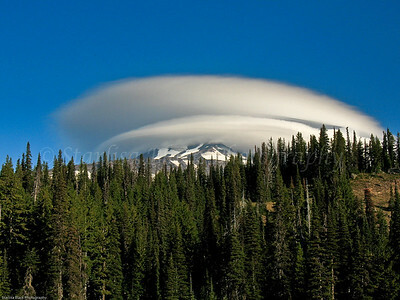 The cloud elements form at the windward edge of the cloud and are carried to the downwind edge where they evaporate, as can be seen here. 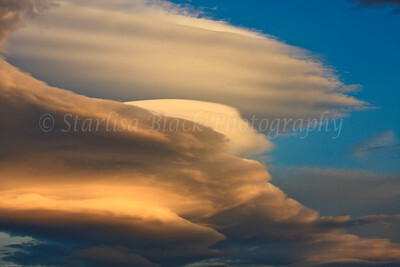 The cloud as a whole is usually stationary or slow moving. 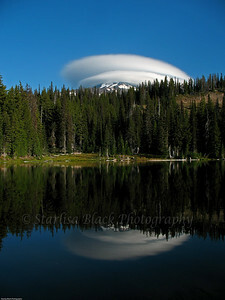 As the wind goes up over a peak and down the other side there begins to be an oscillation in the movement of air, and as the wind comes up to the top of the next wave in the oscillation if the speed is just right it will circle, collecting the moisture that is condensing at the higher altitude. 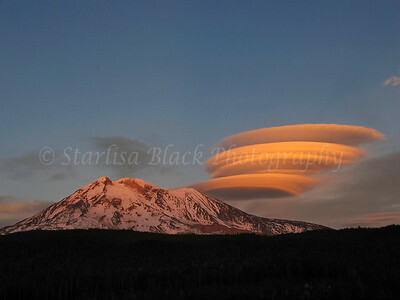 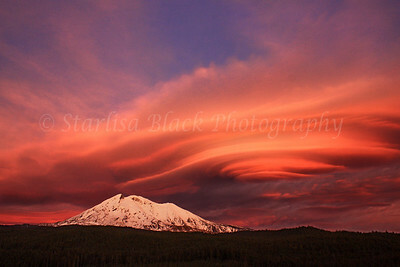 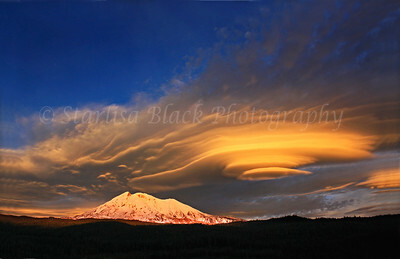 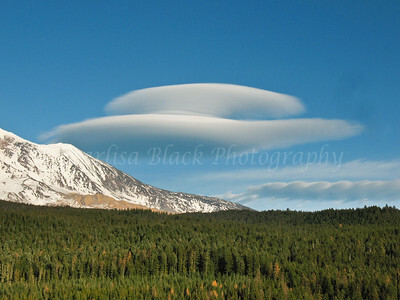 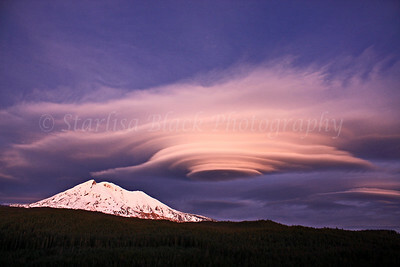 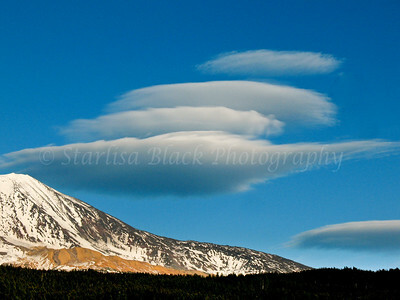 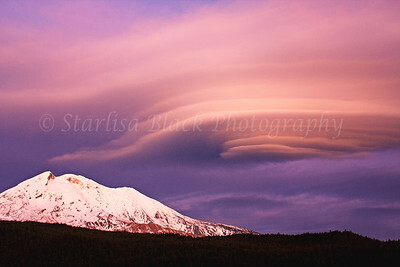 On November 6, 2007 a remarkable series of lenticular cloud shapes formed, dissipated and reformed in many variations over about 1 1/2 hours before and during sunset. 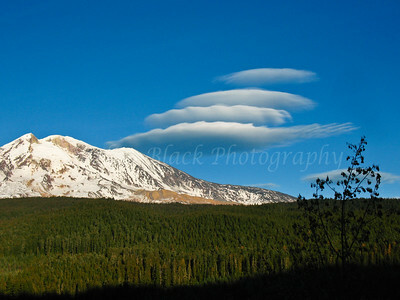 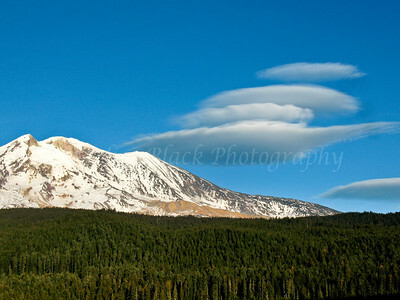 These were taken from Forest road 23 on the SW side of Mount Adams. 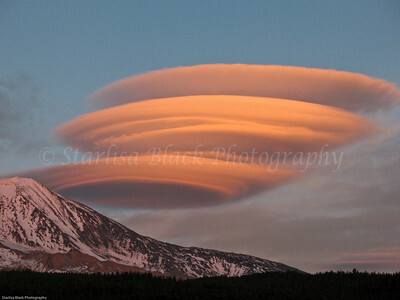 Lenticular formations at Sunset 4417 11-06-2007 On November 6, 2007 a remarkable series of lenticular cloud shapes formed, dissipated and reformed in many variations over about 1 1/2 hours before and during sunset. 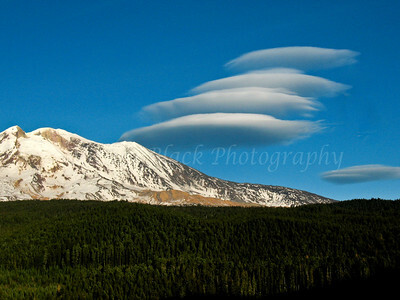 These were taken from Forest road 23 on the SW side of Mount Adams.